Guest: Dr. David Livingston; Topics: Open Lines discussion and listener 2016 space predictions. 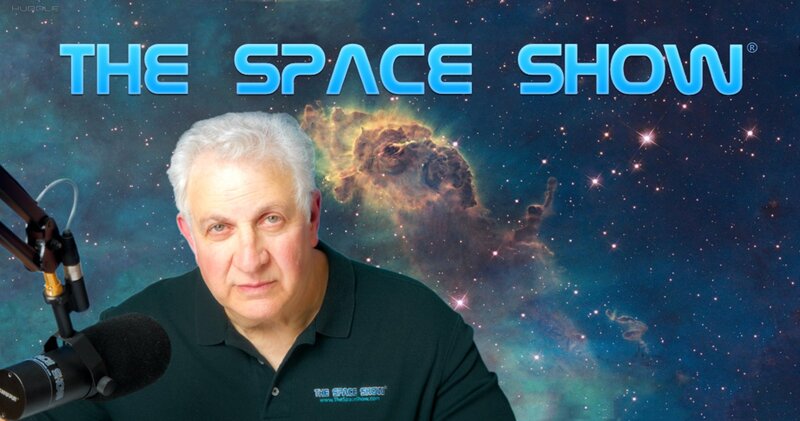 Please direct all comments and questions regarding Space Show programs/guest(s) to the Space Show blog comments on The Space Show website. Comments and questions should be relevant to the specific Space Show program. Written Transcripts of Space Show programs are a violation of our copyright and are not permitted without prior written consent, even if for your own use. We do not permit the commercial use of Space Show programs or any part thereof, nor do we permit editing, YouTube clips, or clips placed on other private channels & websites. Space Show programs can be quoted, but the quote must be cited or referenced using the proper citation format. Contact The Space Show for further information. In addition, please remember that your Amazon purchases can help support The Space Show/OGLF. See www.onegiantleapfoundation.org/amazon.htm. For those listening to archives using live365.com and rating the programs, please email me as to why you assign a specific rating to the show. This will help me bring better programming to the audience. For the first program of 2016, we did Open Lines plus you the listeners provided us with your space predictions for 2016. We started out our 1 hour 37 minute program by my announcing the launch of our new website and noting that the launch took out the drspace@thespaceshow.com email address. I used the Special Announcement option (it posts on our Wordpress blog) on the new website to post two messages before our show, one stating that shows would no longer be archived on our Wordpress blog and the other notifying listeners of the email problem and giving out my davidlivingston.com addresses for use on today's program. I urge you to check the Special Announcement box on the new website homepage from time to time to make sure you don't miss anything. Also, read my introductory announcement about the blog changes. If at times I sounded distracted during today's show, I was. During the show, the IT people were working to fix the email address issue and they kept coming to me for more information. Also, I had Tom helping me with new website issues and comments from listeners. I do apologize for being distracted from time to time. I started today's discussion by offering my 2016 predictions which were mostly that for the new year, we would see the status quo for the industry. Later a few listeners reminded me of some planned events that I had omitted and I must confess, I was excited about some of them including the Bigelow BEAM experiment and learning about the Elon Musk plans for going to Mars. John from Freemont, CA was our first caller saying that he was looking forward to the "spectacular" Falcon Heavy launch. I questioned him as to why he used the word spectacular. This was a fun discussion that actually brought in other listeners to the topic later when they called the show. Doug called with a list of predictions for 2016 including events around the Dragon, the Mars plans by Mr. Musk, and more. He also mentioned the Juno mission to Jupiter, then expressed some concern about international partnerships government to government as he wanted to see international partnerships along the public/private model plus he wanted American commercial companies to lead the partnerships. As Doug is one of the participants in the Friday, Jan. 10 Great Cislunar Debate with John Strickland, I asked him for a preview of what he would promote in the debate. I read some listener emails that addressed the suborbital operators as did Doug in his call. Doug also talked about Russian rockets and the SpaceX Raptor engine. Rick, also from Freemont, emailed us that he thought the FH launch would be spectacular because of the large number of engines firing at one time. In the second segment, John from Redding, CA was our first caller. He talked about the planetary missions and Ion engines. I suggested he make a table or chart of key planetary missions now operating and on the drawing boards, including missions from other space agencies, and show the type of propulsion and energy source being used. I hope he does that. He also mentioned Blue Origins and the bright spot on Ceres. John in Ft. Worth called to say he did not think of the Falcon Heavy launch as spectacular. Both he and Doug in his earlier call mentioned the lack of cross-feed with the Falcon Heavy. John brought up presidential politics saying he did not think any candidate would make space a big part of their campaign. Other listener emails were read on the program including one from Doug that explained to John of Redding about the Blue's landing that hovered and translated laterally to nail the landing at a specific spot. Regarding the Falcon 9 first stage landing, he said that SpaceX had to "bounce" their stage and had little leeway to make last minute corrections. Also in this segment, planetary missions were talked about regarding their possible 2016 contributions including continuing to get more data and photos from the New Horizons Pluto flyby. Please post your comments/questions in the comments section for this particular show our new website. Note that you need to either set up a simple and free account with Disqus or comment through one of your social media accounts. Let us know if you have questions regarding commenting with the new website.